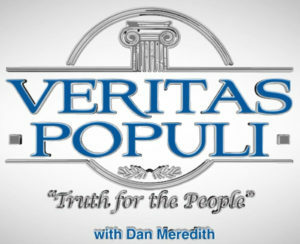 Veritas Populi's mission is to explore subjects, whether cultural, political, historical, or spiritual, that are for most part avoided or ignored by the mainstream media. Our approach is unapologetically Christian, Conservative, and Constitutional in our approach. We believe that "The truth, no matter how hard it is rubbed, only shines brighter!"